News 1: A virtual special issue has been published in the Journal of Information and Software Technology for his contributions to the journal as an editor for 17 years. He has also been appointed Editor Emeritus for the journal. News 2: In an article in the Journal of Systems and Software, BTH is ranked sixth in the world and first in Europe based on journal publications in the leading journals in software engineering. Three researchers (Claes Wohlin (11), Tony Gorschek (4) and Krzysztof Wnuk (11)) are ranked individually in their respective experience group. Furthermore, two researchers (Claes Wohlin (8) and Michael Unterkalmsteiner (6)) are ranked based on their impact (citations) in their respective experience group. In total, approximately 120 researchers are ranked worldwide. News 3: Only two researchers in the experienced researcher group in the ranking above make it into being both highly productive and ranked also on impact. Claes Wohlin is one of them; the other researcher is Prof. Mark Harman from London. News 4: In the ranking in the Journal of Systems and Software, three former PhD students are ranked and three academic grandchildren (PhD students of former PhD students of mine) are ranked. News 5: The book ”Experimentation in Software Engineering” has surpassed 5000 citations in Google Scholar. News 6: Prof. Claes Wohlin is listed as one of the top ten authors with the highest number of contributions to the software engineering literature in the time period 1971-2012 in an article in Scientometrics. Link. Claes Wohlin is Professor of Software Engineering at Blekinge Institute of Technology, Sweden. In 2011, he was elected member of the Royal Swedish Academy of Engineering Sciences. Claes Wohlin served as Dean for the Faculty of Computing for five years (2014-2018), Pro Vice Chancellor for six years (2004-2010) and the first Dean of Undergraduate and Graduate Education at Blekinge Institute of Technology in 2002. Prior to joining BTH in 2000 he held professor chairs at Linköping (appointed in 1997) and Lund (appointed in 1998) Universities. The chair at Linköping University was the first professorship in Sweden focused on large-scale software development (i.e. software engineering). He has held a Visiting Professor position at Chalmers University of Technology in Göteborg (2005-2008), been a Professorial Visiting Fellow at University of New South Wales in Sydney, Australia (2009-2011) and a Guest Professor at Shandong University at Weihai in China (2013-2016). Furthermore, he has five years of industrial experience and continues to work very closely with industry while being in academia, including both research collaborations and consultancy services. Professor Claes Wohlin received a Ph.D. degree in Communication Systems from Lund University in 1991. His research interests include empirical methods in software engineering, software metrics, software quality, requirements engineering and systematic learning and improvement in software engineering. 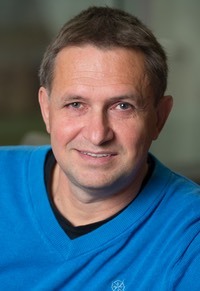 Claes Wohlin is the principal author of the book Experimentation in Software Engineering: An Introduction (Kluwer Academic Publishers, 2000) and for the new and revised version published by Springer in 2012 with the title Experimentation in Software Engineering. The book was released in Chinese in October 2015. He is also an author of a textbook in software engineering in Swedish (Studentlitteratur, 2005). He is co-editor of three books on knowledge management, requirements engineering and project management respectively. In total, he has more than 230 international publications. His h-index in Google Scholar is 55 with the book on experimentation having more than 5 800 citations, and he has 170 articles with 10 citations or more. The total number of citations to his work exceeds 17 300 in Google Scholar. Prof. Claes Wohlin has three former PhD students ranked in the latest ranking published by the Journal of Systems and Software for the time period 2010-2017. Moreover, he as three academic grandchildren on the ranking list. In total, approximately 120 researchers are named in the article in the Journal of Systems and Software. Seven of his former PhD students are full professors. A more extensive CV can be found here.